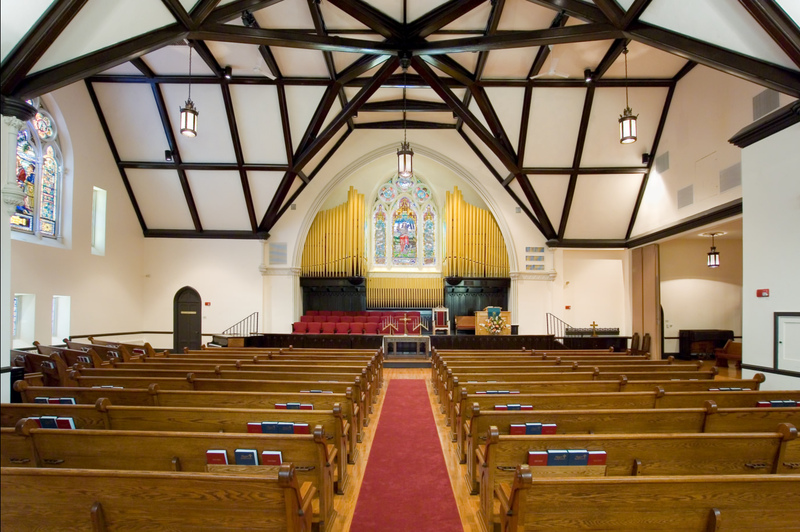 Scope: Extensive interior renovations to a historic stone church building located in Boston. Work included structural stabilization, new plumbing, HVAC, and electrical systems. The work to the sanctuary was mostly cosmetic and the lower level involved the complete build-out of expanded community support facilities. “Few construction projects culminate in a celebratory service with an entire congregation. But this was no ordinary project, the adaptive reuse of the lower level of a Gothic, Queen Anne style building constructed in 1891. One that’s on the National Register of Historic Places, no less. We built a daycare facility that required handicap modifications, the installation of a mechanical lift, and construction of a mechanical room addition at the rear and a complete build-out of the existing space. Plus, the main sanctuary was restored without sacrificing any of its original details with added lighting, mechanical systems, wall repairs, new wood flooring and painting/staining of the entire space. Our major construction challenge was to stabilize this historical building structurally and completely upgrade all of its MEP Systems while maintaining its historic character.